During the first repeat inspection after initial inspection per AD 99-21-15 and SB 737-28A1120, the #1 aft (left wing tank) fuel boost pump wiring of a 737-300 airplane was found with chafing through the Teflon sleeving into wiring insulation at three different locations. Approximately 21000 hours had accumulated since the wire bundle was initially replaced. 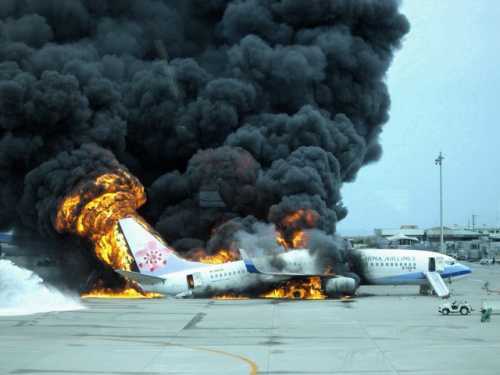 Boeing considers this an Airplane Level safety issue because chafing completely through the wire insulation may cause arcing within the conduit and possible burn through, leading to a potential ignition source. 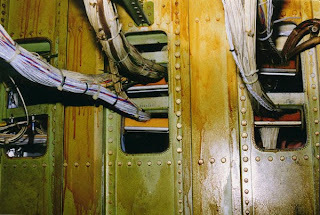 In a 727 incident under investigation by the Indian government, wire bundle damage was discovered in the fuel tank conduit after an explosion that occurred on the ground in the left wing fuel tank. Approximately 10000 hours had accumulated since incorporation of AD 99-12-52. It is not known if chafing played a role in the 727 event. Airworthiness Directives 99-21-15 (737), 99-12-52 (727) and 2001-17-20 (707) require removal of the fuel boost pump wiring from the in-tank conduit(s) for the boost pumps in main tanks number 1 and 2, and the center tank boost pumps, and a detailed visual inspection to detect damage of the wiring in accordance with Boeing alert service bulletins 737-28A1120, 727-28A0126 and 707A3500. These ADs also require repeat inspections, at intervals not to exceed 30,000 flight hours after accomplishment of the initial inspection. 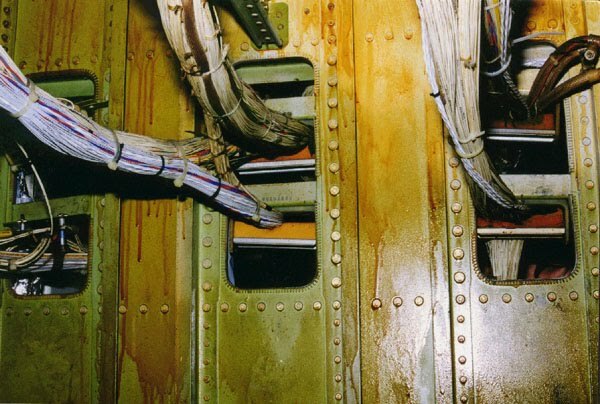 The 737 Classic aircraft have four conduits with wire bundles running to the fuel pumps; the 727 has eight and the 707 has ten. Boeing is continuing to expedite root cause investigation including removal of the 737 aircraft conduit from the in-service aircraft for laboratory investigation. The FAA has opened a planned AD worksheet. An FAA Immediately Adopted Rules (IAR) is anticipated to mandate the interim action that Boeing defines via service bulletin 737-28A1263(ECD TBD). Compliance time is to be determined taking into consideration risk mitigation, operator impact and very large fleet size. To date, a compliance time of 90-120 days has been suggested by the FAA for the interim action, to be finalized based on parts availability, etc. Boeing does not plan to release a service bulletin until parts are available. Boeing plans to address the 737 Classic first, immediately followed by 727. The 707 is also under review. 2- Replace all Teflon sleeving with sleeving which has smaller OD than the conduit ID. 3- Replace all four conductor, unjacketed, or BMS13-51 wires with BMS13-60 jacketed wiring. Remove ground wire if found installed. 4- If any wire damage or arcing indications are found, inspect conduit (boroscope), leak check per AMM, and repair or replace the conduit. 5- Clean inside of conduit prior to installing the reworked/new wire bundle. Incorporate service bulletin 737-28A1263 (when released), report all inspection results to Boeing, and comment on the FTEI bulletin board item EM-06-00063 with relevant information, if available. Boeing is planning parts kits consisting of a roll of wire and a roll of sleeving in airplane ship set quantity. A limited supply of miscellaneous parts will also be available at Boeing (separate from the kits) to support this inspection (conduits, connectors, splices, contacts, etc. ).